Columbia University in the City of New York, commonly referred to as Columbia University, is an American private Ivy Leagueresearch university located in the Morningside Heights neighborhood of Upper Manhattan in New York City. It is the oldest institution of higher learning in the State of New York, the fifth oldest in the United States, and one of the country’s nine Colonial Collegesfounded before the American Revolution. Today the university operates Columbia Global Centers overseas in Amman, Beijing,Istanbul, Paris, Mumbai, Rio de Janeiro, Santiago and Nairobi. The university was founded in 1754 as King’s College by royal charter of George II of Great Britain. After the American Revolutionary War, King’s College briefly became a state entity, and was renamed Columbia College in 1784. 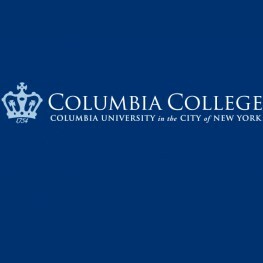 The University now operates under a 1787 charter that places the institution under a private board of trustees, and in 1896 it was further renamed Columbia University.That same year, the university’s campus was moved from Madison Avenue to its current location in Morningside Heights, where it occupies more than six city blocks, or 32 acres (13 ha). The university encompasses twenty schools and is affiliated with numerous institutions, including Teachers College (which is an academic department of the university though legally separate from the university), Barnard College, and the Union Theological Seminary, with joint undergraduate programs available through the Jewish Theological Seminary of America as well as the Juilliard School. © 2016 Al-Farabi Kazakh National University at al-Farabi. All rights reserved.